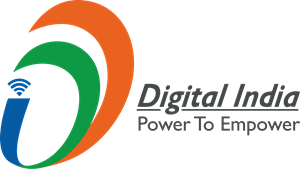 Centralized Public Grievance Redress And Monitoring System (CPGRAMS) is an online web-enabled system over NICNET developed by NIC, in association with Directorate of Public Grievances (DPG) and Department of Administrative Reforms and Public Grievances (DARPG). CPGRAMS is the platform based on web technology which primarily aims to enable submission of grievances by the aggrieved citizens from anywhere and anytime (24x7) basis to Ministries/Departments/Organisations who scrutinize and take action for speedy and favorable redress of these grievances. Tracking grievances is also facilitated on this portal through the system generated unique registration number. Request : All grievances relating to State Governments / Union Territory Administrations and Government of NCT Region of Delhi, are to be redressed by the State/ UT/ NCT Government concerned. Citizens are advised to take up matter regarding pendency of their grievance directly with the State Government concerned. Note : If you have not got a satifactory redress of your grievance within a reasonable period of time,relating to Ministries/Departments and Organisations under the purview of Directorate of Public Grievances(DPG), Cabinet Secretariat, GOI, you may seek help of DPG in resolution. Please click here for details.